SYDNEY — Tim Cahill wants to join an elite list of World Cup scorers to sit alongside Pele, Uwe Seeler and Miroslav Klose. After making the cut for Australia's 23-man squad, the 38-year-old Cahill has a good chance of becoming just the fourth player to score in four consecutive World Cups. When Australia needs goals it turns to Cahill, its all-time leading scorer. The veteran forward has scored almost half of the team's World Cup goals: 5 of 11. The Socceroos have Cahill to thank for their first win at a World Cup after he scored late goals against Japan in 2006. 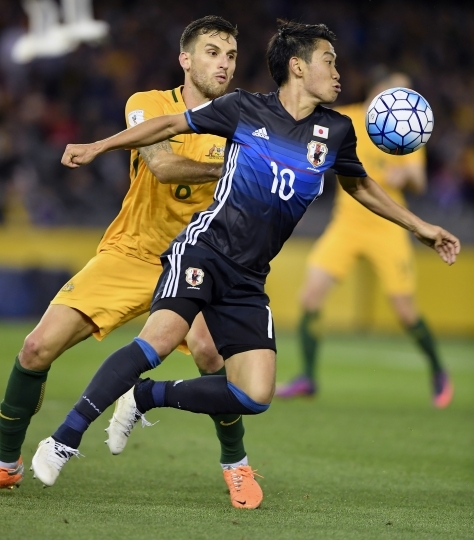 Cahill scored both in Australia's Asian playoff win over Syria late last year as the country's place at a fourth consecutive World Cup was clinched. But age, a lack of playing time since he returned to English side Millwall, and the fact Australia's newly hired coach Bert van Marwijk wanted to select a squad based on recent form rather than reputation, meant that his spot in Russia wasn't guaranteed until this month. It was just part of the uncertainty over preparations for a group stage that sees No. 36-ranked Australia play a trio of sides in the top 12 in the FIFA's May rankings: France (7), Peru (11) and Denmark (12). Van Marwijk was appointed only in January on a short-term deal to replace Ange Postecoglou, who quit after guiding the team through the longest qualifying path to Russia. Van Marwijk helped Saudi Arabia secure a spot in Russia before quitting that job — and his first game in charge of Australia was a 4-1 loss to Norway in March. The Australians followed that with a 0-0 draw with Colombia in London and a 4-1 win over Czech Republic. With a new formation in the works, Cahill's best chance of playing time is likely as an impact player from the bench. Van Marwijk took on the coaching job saying his mission was to help Australia survive the group stage. He guided Netherlands to the 2010 World Cup final, and coached Saudi Arabia to an automatic berth in Russia from an Asian qualifying group that included Australia. He said that gave him a good idea of Australia's strengths and weaknesses. He will be the third Dutch coach to guide Australia at the World Cup, following Guus Hiddink in 2006 and Pim Verbeek in 2010. Brighton keeper Mat Ryan has been Australia's first-choice since 2012 and was voted goalkeeper of the tournament when the Socceroos won the 2015 Asian Cup on home soil. The 36-year-old Brad Jones will finally be part of a World Cup campaign after missing out in 2010 when his son, Luca, was diagnosed with cancer just before the tournament opener in South Africa. 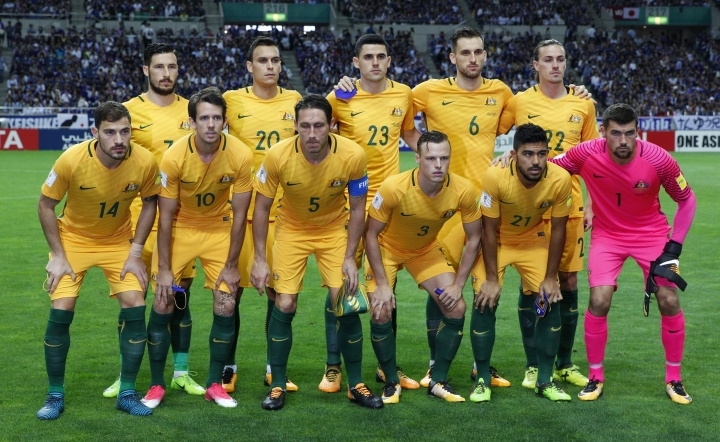 The most question marks over Australia's formation will be at the back, with Van Marwijk dispensing with the 3-4-3 formation that exposed some defensive holes in the qualifying campaign and plenty of criticism for Postecoglou. Trent Sainsbury and Matt Jurman are expected to play important roles, and Mark Milligan has made the squad for a fourth World Cup. 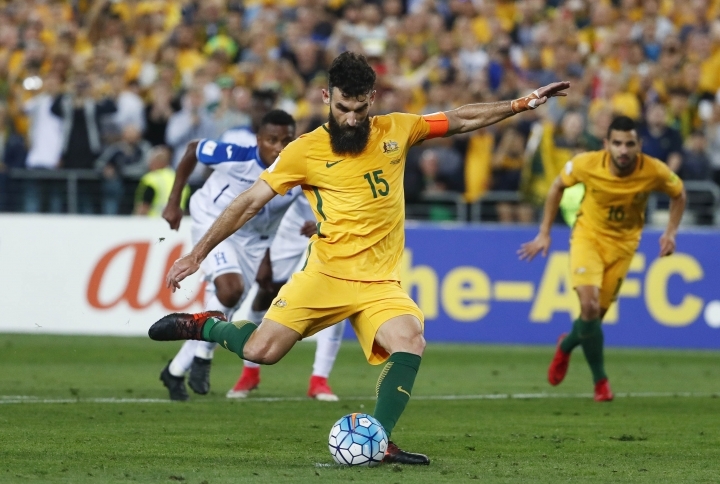 Competition was most intense in the midfield, where skipper Mile Jedinak and Aaron Mooy have been steady regulars and Tom Rogic has been a reliable playmaker. Massimo Luongo has added another dimension recently with his timing and fast footwork. Daniel Arzani is the youngest player in the squad at 19. The Australians will likely struggle to score in open play against quality defenses. Tomi Juric scored six in qualifying to top the Australian scoring list. Cahill and Matthew Leckie have established credentials and Jamie Maclaren's form on loan at Hibernian earned him a late call to the squad. Australia will open Group C against France at Kazan on June 16, followed by Denmark on June 21 and Peru on June 26.